Earphones and Headphones are the requirements of the each and every one of us, and it's something that will never cease to build and will always be the topic of any debate. Which sounds better? What's style suits me better? What is the latest innovation in Noise-isolation or cancellation? Can I attach them to my smartphone using Bluetooth or 3.5mm jack via Type-C USB port? Smartphone manufactures always face this dilemma to keep this or take it out? I love headphones and earphones and have been following the journey of headphones from many brands. iFrogz needs no introduction, and I have used some of the headphones from the brand earlier, and this time it was time to check out Impulse Wireless Premium Audio Wireless Earbuds. Wireless earbuds give you a great convenience to be wire-free and listen to your favourite songs and attend calls on the go. Impulse Wireless Earbuds comes with a wireless clip which has inbuilt mic and remote for all the general features. The feel-good factor comes from its aluminium earbuds construction which helps to enhance audio performance with its acoustic chambers. The whole assembly is made of 4 components starting from the main acoustics chamber to the waterproof membrane and rear echo membrane to front echo chamber. This reflective acoustics construction of the earbuds is very much similar to human hearing to give us advance audio sound. 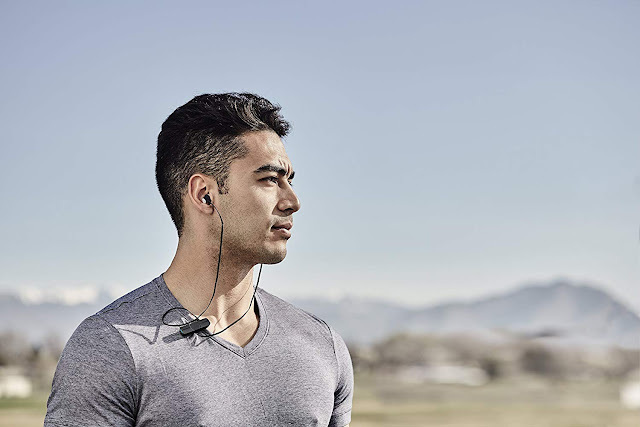 That was the first feature I recognised as soon as I connected them to my smartphone, the audio was incredibly significant, and Bluetooth connectivity took less than a second. Acoustics is nothing without the drivers to push sound through, and the iFrogz Impulse earbuds have 11mm neodymium drivers to deliver rich, natural and accurate tonal balanced sound. I loved wearing them while watching movies or listening to Bollywood music. It gives that extra clarity and surrounds sound effect which I really loved during my use of these wireless earbuds. I liked my favourite songs even further on this wireless earbuds. The call had clear audio, and another person was able to listen to my voice even when I was talking in whispering volume. But how do you identify which side is the up and down button? For that Zagg's iFrogZ Impulse clip has raised bump button for upside and recessed groove button for the downside of the wireless hub, which makes it easy to listen to your favourite music even in the dark. 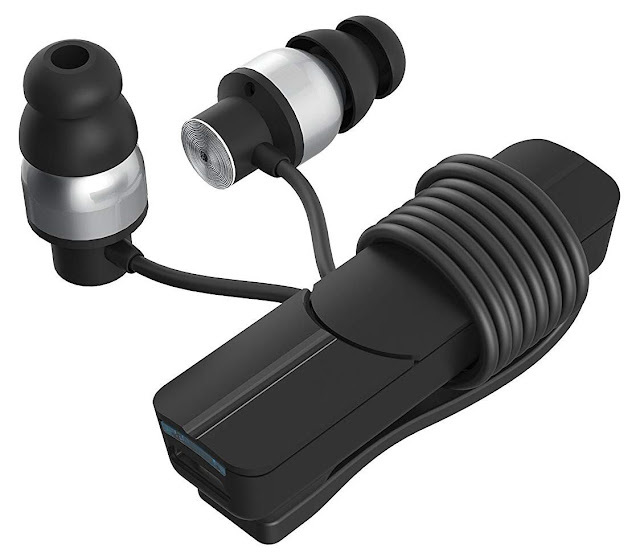 Another unique feature about this iFrogz Impulse Earbuds is the clip which has a magnetic storage clip at one end which has two benefits. You can quickly put them around your clothes, and it stays there due to the strong magnetic field. 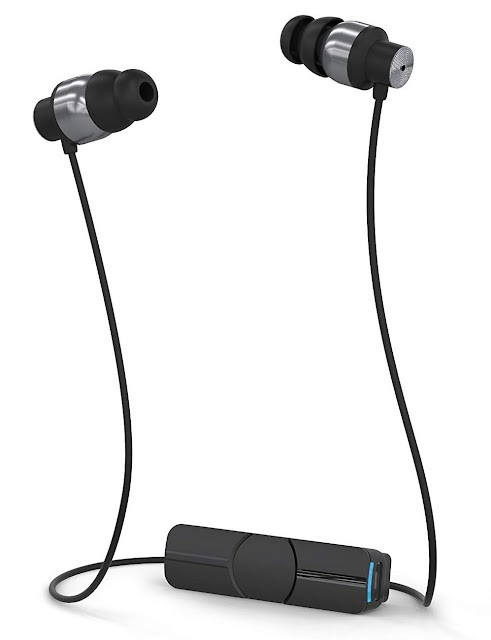 Secondly, the wires of both the earbuds can be revolved around the magnetic clip and secured while you carry them. The general controls are like any other Bluetooth - long press to play next, or previous songs on the left and right buttons and the single click will reduce and increase the volume, centre button long pushes to switch ON the device, single press pauses and play the song alternatively along with answering the call and ending the call. The resistance of earbuds is 16 Ohms with the frequency range from 20Hz to 20KHz and sensitivity of 100dB. The cable length is 35cm which can really help you to wear it around your neck too. The package contains Impulse Wireless earbuds, micro USB charging cable, 3 pairs of silicon ear tips and 3 pairs of noise-isolating ear tips. The packaging is beautiful and offers a sneak peak if you open the front cover of the package. The battery inside Impulse wireless earbuds is able to carry you for around 4-5 hours continuously and charges 100% in about an hour. Red LED indicator switches off when it's fully charged and generally while Bluetooth is ON, it flashes blue light. Also, if you put the charging cable when the device was being played, it immediately switches off the earbuds and restarts from the same point where your song was. Overall, it reminds me of the Sony MW600 which was my companion in London, but now the clip has broken, so I can't use it anymore unless I am making something Bluetooth connected. The audio quality is definitely for my liking, and I have played various genres of music and totally loved them all on this IFROGZ Impulse Wireless Earbuds. Go check and buy them out!